In logistics activities, the three most basic steps of storage, handling, and sorting take up a lot of time, money, and labor costs. The AGV automated unmanned handling equipment replaces manual completion, including object transportation and sorting, which reduces labor costs and improves the overall efficiency of logistics work. It has been rapidly developed in recent years. 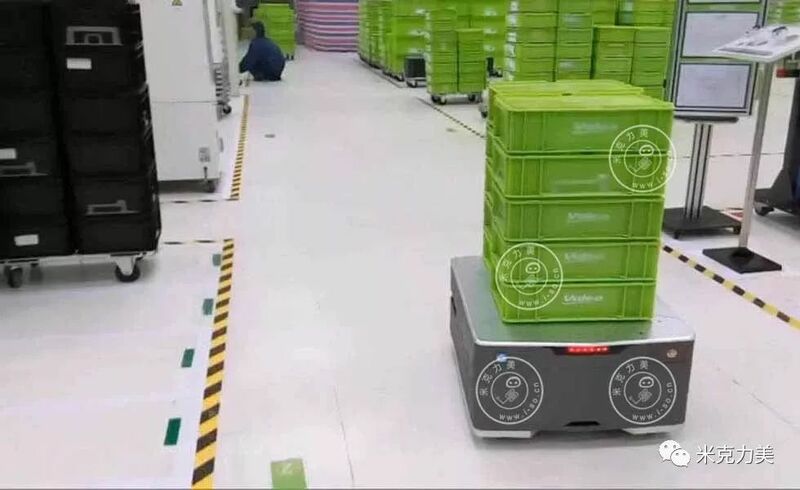 It is understood that the market size of AGV in the whole year of 2018 will be nearly 19,000 units, and in the past five years, the average annual growth of AGV robots has exceeded 20%. In addition, e-commerce giants and express delivery also lead Jingdong, Amazon, Alibaba, Shentong, SF and so on to sorting robots, AGV, unmanned warehouses and other large-scale overweight, it can be seen that AGV changes for logistics is huge. At present, many manufacturing companies are transforming lean and flexible production, using AGV trolleys for automated material transportation. However, the traditional magnetic navigation AGV has relatively low flexibility, requires the laying of magnetic strips, can only obey simple programming instructions, is prone to interruption when the device is updated, and is prone to occur when encountering static or dynamic obstacles during transportation. Faults, complicated, cumbersome, and intelligent instructions are difficult to operate. Therefore, the SLAM laser AGV, which is more suitable for lean production, has emerged as the times require, gradually replacing the traditional magnetic navigation AGV. SLAM laser AGV, also known as trackless navigation, does not require magnetic strip guidance, can automatically identify scenes, memorize and construct maps, has very high flexibility, memorizes tens of thousands of 2D coordinates per minute, and recognizes scenes again, even if By manually removing large items, it can also determine position and orientation based on several perfectly matched coordinates. At present, there are not many AGV manufacturers who really master SLAM technology. There are KUKA, Edep, etc. abroad, but the price is relatively expensive, most of them are concentrated in commercial use, and there are Mi Ke Li Mei, Nan Jiang, Bo Zhong and so on. Mickelly's laser AGV products are perfect for backpack, traction, jack-up, SMT workshops, etc., with good running stability and precision. Currently, there are large-scale applications in the industrial field; Nanjiang Laser AGV is mainly focused on light loads. Ai Jiwei's laser is currently on the forklift, and other series are mostly magnetic navigation.